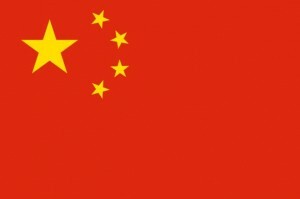 Sichuan is named for the province in southwestern China where it originated. It is known for its hot spiciness, created by the use of ingredients such as garlic, chili peppers, sesame paste and ginger. It often features peanuts, and most people consider it to be both bold and pungent. 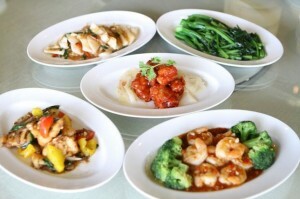 Cantonese (Guangdong) dishes are generally sweeter and mild and very often feature seafood. Methods of cooking include steaming, stewing and baking, in addition to frying. Examples of Cantonese cuisine include rice rolls, Shu Jiao-style dumplings, and lotus leaf rice. Hunan cuisine is a bit like Sichuan on steroids. Although it is even hotter, it gets its heat from chilies, rather than peppercorn, so the flavors of vegetables and herbs that abound in this agricultural region really come through. These dishes are usually sautéed, steamed, stir-fried, or smoked. Anhui is native to the Huangshan Mountain region where seafood is harder to get, so it relies on local ingredients such as bamboo and mushrooms. Considered to be hearty food, its dishes are often stewed with fresh herbs. Fujian cuisine is lighter, capitalizing on both sweet and sour flavors, and well known for its great soups and seafood dishes. Ingredients are sliced and braised, stewed, steamed and boiled for a more delicate flavor. 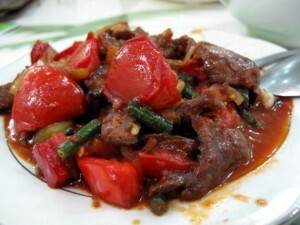 Shandong cooking, also known as Lu cuisine, is salty and crispy. Seafood is plentiful in this region of China, and dishes such as braised abalone, sweet and sour carp and other recipes featuring vinegar and salt are mainstays of this style. Jiangsu also called Su cuisine, is sweeter than most Chinese cooking. Richly aromatic, these dishes are apt to include seafood, soups and an artful presentation, with a salty kick. Sweet and sour spare ribs is a classic Jiangsu dish. Zhejiang, which is sometimes referred to as Zhe cuisine, may be the most mellow, and in some ways resembles Japanese food in that it is often served raw and is fresh and crispy. It features freshwater fish and seafood, and bamboo shoots cooked in a variety of ways. The Chinese Year of the Monkey began Feb. 8, initiating festivities at most of the Las Vegas eateries that will last throughout the year. Diners will find that menus include English translations in most restaurants, so that they will know exactly what they are ordering, and wait staff is happy to answer all questions during the ordering process. Most meals are MSG-free. On the strip, Blossom offers more than 100 dishes, with an emphasis on live seafood, which abounds in four on-site tanks. 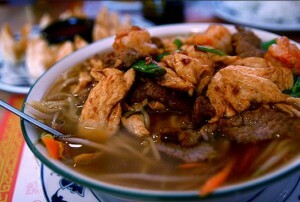 Many dishes are prepared table-side at Jasmine’s specialties include traditional Cantonese, Hunan, and Sichuan dishes. Mr. Chow is a Beijing restaurant at Caesar’s Palace featuring hand-pulled noodles, green prawns and chicken satay. Meals are served family-style. At Beijing Noodle No. 9 noodles are made in-house and right in front of the guests, and the Imperial Seafood Soup is one of many excellent dishes originating in Hong Kong, Biejing, and Shanghai. At the Mayflower Cuisinier, guests will be treated to a French flair, as well, with dishes such as grilled lamb chops with creamy cilantro-mint sauce on the menu. Peking duck, a spicy octopus roll, and grilled hamachi are among the choices at Japonais, the Vegas version of the upscale restaurant that also has locations in New York and Chicago. Having but scratched the surface of great Chinese cuisine in the Vegas area, this last suggestion is for connoisseurs who may be looking for something a little different in the market. China Poblano Restaurant offers Mexican/Asian fusion cuisine – traditional Chinese dishes with a modern twist, like a marinated duck taco with salsa. Enjoy! Contact Me with any questions or to share your own experiences!